Reznor‘s ErP compliant range of heating equipment promises customers peace of mind as it offers full compliance with European Regulations. As of January 2018, warm air heaters are now subject to Lot 21 of the directive and radiant heaters Lot 20 -making minimum efficiencies for warm air 72%, and radiant heaters 74%. Crucially, these minimum criteria are applicable for both new installations and when replacing existing products. Customers can be assured that Reznor’s heating equipment, manufactured by Nortek Global HVAC, is highly energy efficient and emissions of harmful environmental pollutants are constrained. 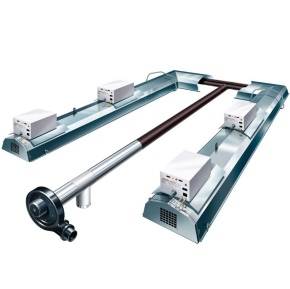 Reznor’s ErP compliant range includes the highly efficient Nor-Ray-Vac a gas-fired continuous radiant tube heating system designed specifically for the building it is required to heat. The Nor-Ray-Vac system is designed to provide uniform heat coverage over the entire floor area. The system can also cater for distinct zones providing a varied degree of comfort level within the overall layout of the building. With increased comfort, along with a reduction in operating costs of up to 60% over conventional systems, Reznor will help keep end users operating costs down.